Tamara Michel Josserand will join the University of Redlands as vice president for advancement on October 10. University of Redlands President Ralph Kuncl writes to the University community about the appointment of Tamara Michel Josserand as the newest member of his cabinet. Below is his September 5 memo sharing the news. 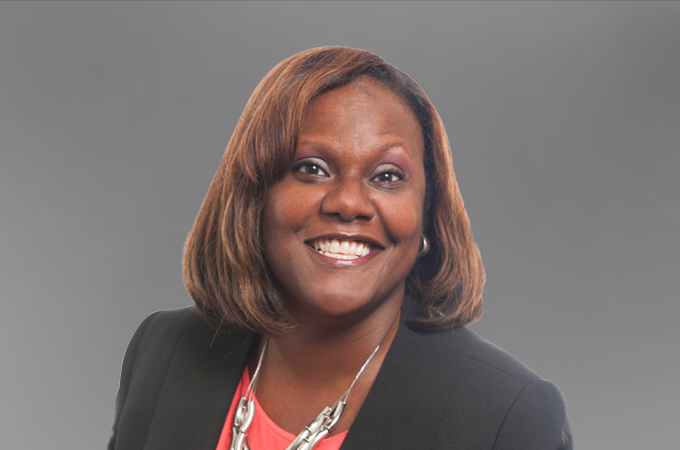 Today I announce the appointment of Tamara Michel Josserand as our new Vice President for Advancement, effective October 10, 2018. This vital appointment follows a national search, review of three dozen applicants, vetting of an ample pool of well-qualified candidates, and University-wide interactions and input during the finalists’ campus visits. Tamara (pronounced Tuh-MARE-uh) joins us as we are pushing to complete Forever Yours, the largest comprehensive campaign in the history of our University. Her 20-plus-year preparation for this leadership charge is extensive and impressive, and it includes service in both private and public higher education institutions, non-profit organizations, and consultancies. Tamara holds a Master of Business Administration from University of Chicago Booth School of Business; a Master of Education from Harvard Graduate School of Education; and a Bachelor of Arts from Connecticut College. She is currently Assistant Dean and Director of Advancement at the University of Illinois at Chicago, School of Public Health, where she is leading successful advancement strategies and directing the School’s alumni and community engagement activities. Previously, Tamara held positions, including leadership roles, in development, campaigns, external relations, and major gifts for the University Libraries at University of Nevada, Las Vegas; University of Chicago, Booth School of Business; Northwestern University, School of Education and Social Policy; Concord Academy (Concord, MA); and Yale University. Her fundraising consulting clients have included the University of Wisconsin, Parkside and many not-for-profit enterprises. Her deep interest in supporting the work of charitable and humanitarian organizations and causes is demonstrated by her leadership of advancement for the Daughters of Charity Ministries of Chicago and her ongoing work for the DuSable Heritage Association, which provides support and resources to the people and country of Haiti. During our extensive time together, I came to know Tamara as a professional of great character, with a vision for our University’s advancement efforts and beyond. The diversity of her professional experience means she brings to Redlands a different, broader perspective than others might have. Those “fresh eyes” comprise one trait we were seeking in our new Vice President. Tamara has a track record of working with major donors and securing large gifts, including one that remains the largest in that particular institution’s history. Tamara’s references confirmed what many of us experienced during our time with her: that she is easy to work with, has a natural and authentic manner, is gifted at connecting with people, and is encouraging and thoughtful. She is dedicated to fundraising and stewardship, engaging donors through regular outreach and by helping them make meaningful connections with the institution. A gifted mentor, Tamara listens to the ideas of others and empowers her team to run with those good ideas. She has built numerous successful relationships with deans, faculty, alumni board members, and trustees—relationships that will be crucial in the last phases of our campaign. During her time on campus, we benefited from Tamara’s thoughtful questions and answers, her positivity, her visionary ideas for the organization, her collaborative nature and collegial spirit, her desire to bring new methodologies to Redlands, and her ability to recognize the opportunities to be ever better. One crucial trait Tamara demonstrated was her clear interest in being part of a team-orientated and collaborative community that has our donors’ and students’ best interests at heart. I want to thank and congratulate the President’s Cabinet, which served as the search committee, and especially Kevin Dyerly, who served as chair. And I want to thank each of you who participated in this important search. Your insights and feedback were essential to our process. Please join me in welcoming Tamara and her husband, Randel Josserand, to the University of Redlands community.